Illinois State University’s Latin American and Latino/a Studies Program is joining forces with campus and community groups to celebrate Latino Heritage Month from mid-September to mid-October. “This is an opportunity to recognize the contributions of Hispanic/Latino cultures in the Americas and to converse about the issues facing our communities,” said Director of the Latin American and Latino/a Studies Program Maura Toro-Morn. !Fiesta: A Celebration of Mexican Popular Arts!, an art exhibition, is on display now until August 2014 at the McLean County Museum of History. The exhibit features more than 150 pieces of art made by the people of Mexico, including ceramics, textiles, papier maché, lacquerware, basketry, carved wood, leather and glass from every region of the country. The exhibit is sponsored by the McLean County Museum of History, COUNTRY Financial and Illinois State’s Latin American and Latino Studies Program. 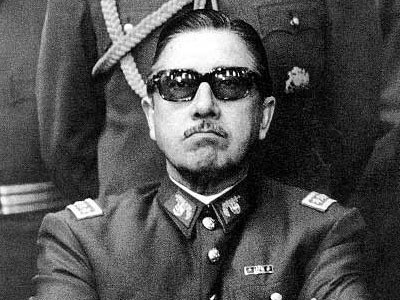 Lynd will discuss the symbolic importance of Sept. 11 in Chile, the anniversary of the military coup that initiated the dictatorship of Augusto Pinochet. She will share her current research on poet-artist Cecilia Vicuña and the story of her revolutionary work that was almost lost amid the violence in 1973. The event, which is free and open to the public, is sponsored by the Latin American and Latino/a Studies Program, the Organization of Latino/a Employees (OLE) and the Department of Languages, Literatures, and Cultures. Assistant Professor of Anthropology Kathryn Sampeck will delve into the troubled legacy of chocolate with Eating Colonialism: Labor Relations and the Latin American Heritage of Chocolate at 7 p.m. Tuesday, Oct. 15, in Schroeder Hall, room 106. Through chocolate, Sampeck will explore the complex history of labor relations that can be traced back to the very inception of Spanish colonial ventures in the Americas. “The colonial market for chocolate blossomed in the late 16th century and ushered in some of the most astounding abuses of indigenous labor in Spanish American history,” said Sampeck. The event, sponsored by the Latin American and Latino/a Studies Program, OLE and the Department of Languages, Literatures, and Cultures, is free and open to the public. Director of the Latin American and Latino Studies Program Maura Toro-Morn will lead a panel titled Foreigners, Maids and Criminals: Persisting Latino Stereotypes in the Media at 7 p.m., Thursday, Oct. 17, in the Escalante Room in Hewett-Manchester residence halls. 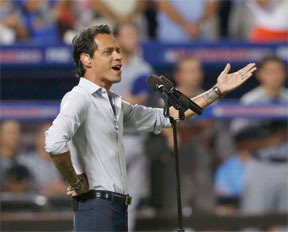 Social media exploded surrounding the singing of the national anthem by Sebastian De La Cruz, an 11 year-old born and raised Texan and former America’s Got Talent contestant, at an NBA finals game, and again when New York born and raised singer and actor, Marc Anthony, sang God Bless America at the Major League Baseball All Star Game. Both organizations were accused of letting “Mexicans” sing the anthem. Yet little complaint followed when one of the top-grossing films of the summer, Despicable Me2, featured as its super villain, Eduardo (AKA, El Macho) a Mexican restaurant owner embodying a multitude of stereotypes. Rocio Rivadeneyra of the Department of Psychology, Juliet Lynd of the Department of Languages, Literatures, and Cultures and Marcos Mendez of HERO will explore how community members confront these and other stereotypes. The free event is co-sponsored by the Latin American and Latino/a Studies Program, Conexiones Latinas in McLean County and OLE. A panel discussion will look at Unlocking the Meaning of the Day of the Dead: Perspectives of Dia de los Muertos at 11 a.m. Saturday, Nov. 2, at the McLean County Museum of History. The panel will discuss the different cultural, religious and ethnic dimensions of the Day of the Dead and will also help to educate people about how the Day of the Dead serves to honor loved ones who have passed away, and to acknowledge that death is a part of life. Items associated with the Day of the Dead will also be on display in the courtroom during the program. The event is sponsored by the McLean County Museum of History, Latin American and Latino/a Studies Program and the Children’s Discovery Museum.